I recently had the chance to drive the new Scion FR-S for a week courtesy of Scion Canada. The level of anticipation for this new model was unmatched since perhaps the 2003 Infiniti G35 / Nissan 350Z were released. Toyota seemed to really want to bring back the cult following from the AE86 and thrust it onto to a modern vehicle. The FR-S is the result. 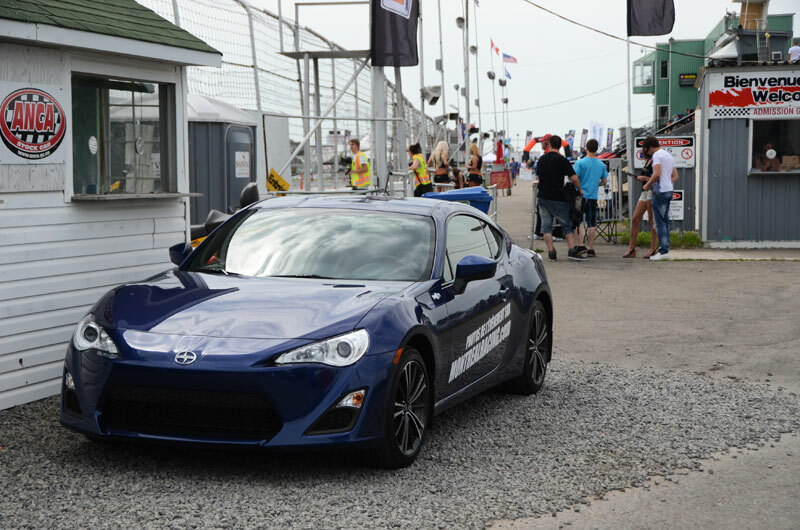 The FR-S has a very low center of gravity which contributes to excellent handling. In fact, I can say that this is one of the best handling cars I’ve ever driven and reminds me of my Acura Integra Type R when I first got it in 1999. 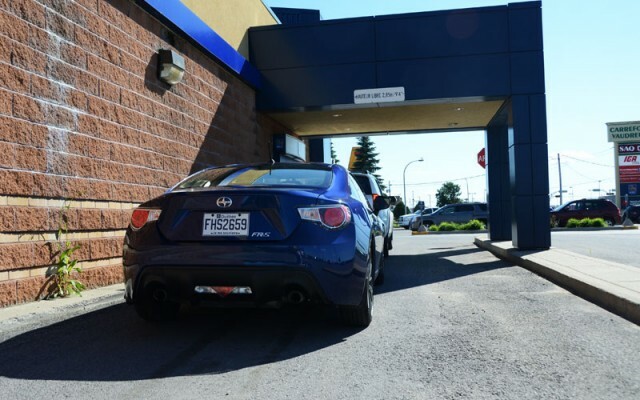 Since I wasn’t allowed to track the vehicle I’ll leave the more technical review of the handling for a later date but you will not be disappointed with how the FR-S holds the road. 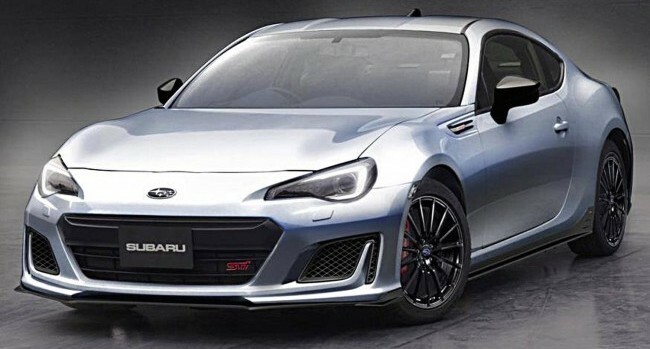 The car is a joint venture with Subaru who is releasing the same model called the BRZ. If you pop the hood you’ll notice a Subaru Boxer engine inside. With 200 horsepower, there is more than enough punch to keep you happy driving around town. I did find the low end torque a tad lacking but not enough to take away from any driving pleasure. Toyota certainly doesn’t want to intrude on the territory that could be filled by any future replacement for the Supra. 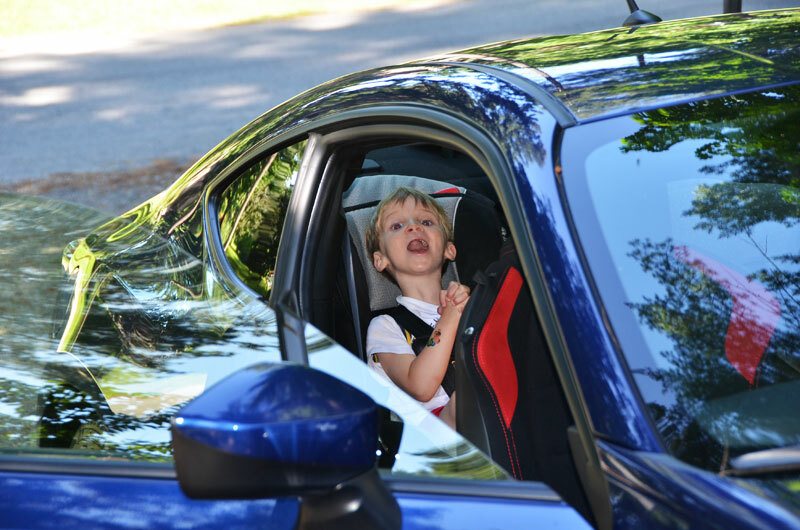 The interior is a young sports car enthusiast’s dream. 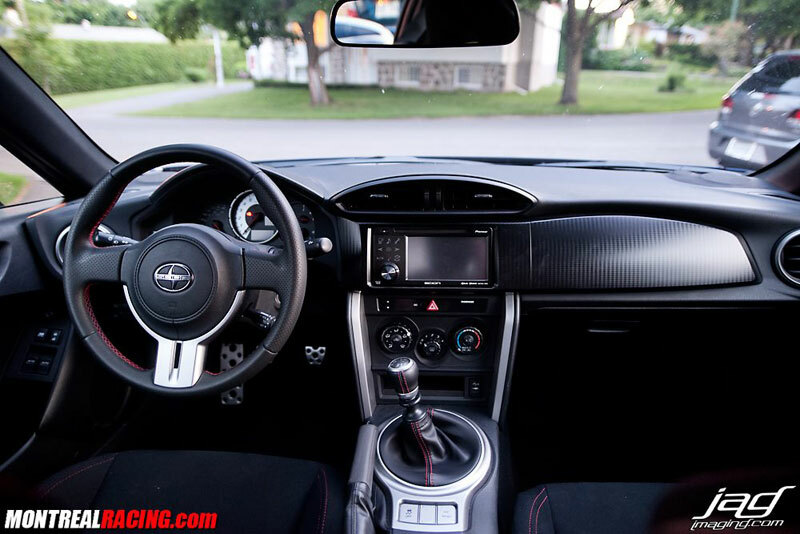 Sport bucket seats with red stitching, race pedals and a beautiful steering wheel are all standard. The audio system is modern looking and packs a decent punch though my only complaint is the design of the controls themselves. The flat surface (iPod style) makes is incredibly difficult to hit the correct button (next track, previous track) when you’re driving. Even the slightest bump can cause your finger to hit the wrong one. Style-wise this car is a looker. It’s got smooth sleek lines and will turn heads for many years to come. I do have two minor annoyances that I wish to share (though this might be the old man in me talking). The first is that the rear lights are Altezza style (clear with red lamps). I know Toyota invented this trend with the 2001 Altezza and IS300 but that fad has passed. The second complaint is Toyota seemed to want to emulate the look of the Lexus LFA up front, but there is something not quite right about the shape of the headlights. I’m confident that it can be cured with a minor facelift in a year or two. Are these enough to hinder sales of the car? I doubt it. I decided to try out the FR-S as a family vehicle and installed two baby seats to haul my boys around. While no two-door car should be considered as a first choice for a big family, I still enjoyed the experience very much. The anchoring system was well designed and the seats installed perfectly. 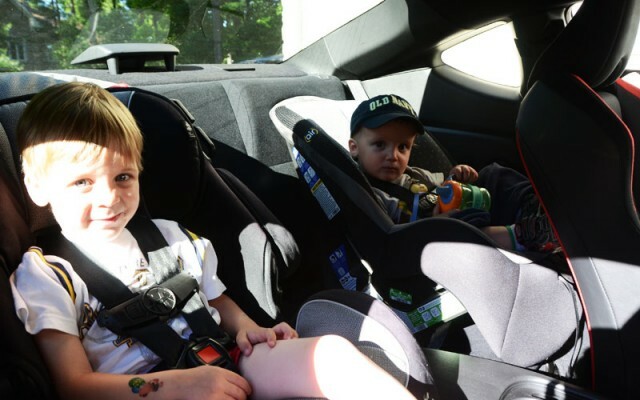 Foot room for the kids was nonexistent behind the driver but they are not old enough to complain yet so it was a non-issue. The feel of driving the FR-S was one of quality. I felt like this was simply a well-made car that is built to last. 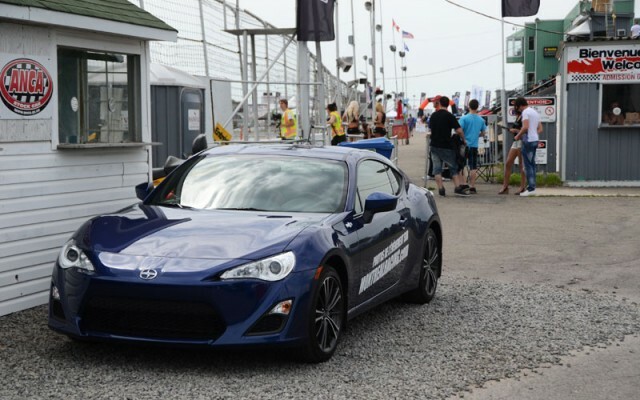 Toyota and Subaru have a winning product for the entry level sports car here. 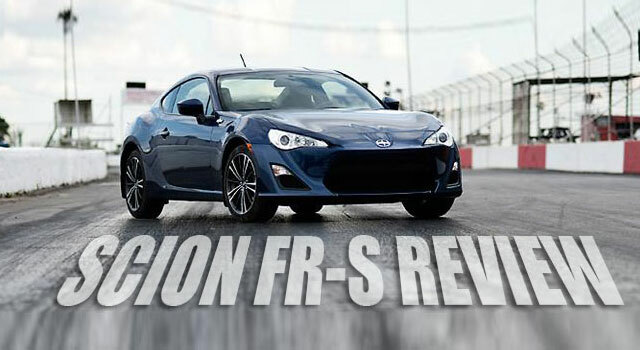 The fact that the FR-S and BRZ are rear wheel drive only adds to the flavor of the vehicles which are sure to appear at many drift, drag and track events for years to come. But they still loved it! Réplique de la Toyota Supra de Paul Walker construite en secret!